Broadfoot at work at his desk. The Harlin Museum is home to the entire L.L. Broadfoot collection, minus those given by the artist in his lifetime to friends and family. 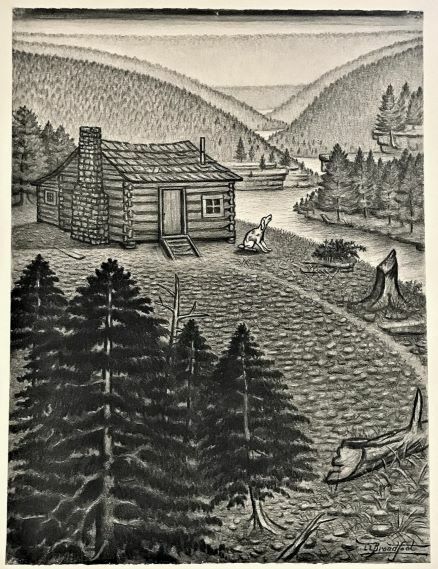 The artist’s dream was to memorialize the uniquely fascinating people of his Ozarks home, which he did when he published his 1944 book, “Pioneers of the Ozarks,” a compilation of Ozark Scenic Riverways landscapes and the portraits and stories of one-of-a-kind Ozark pioneer settlers. From an early age, he loved creating art and aspired to become an artist, but he was discouraged both at home and at school. 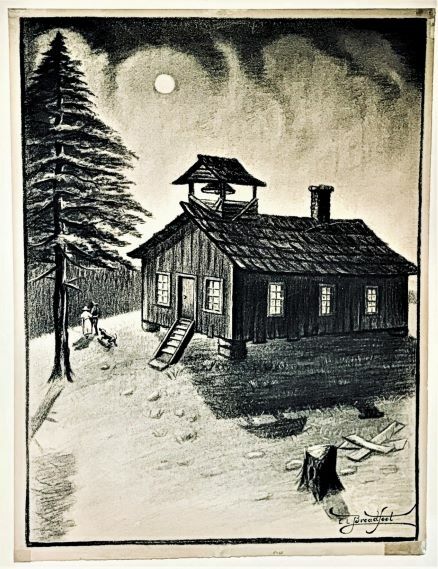 Nevertheless, he persisted and he developed his talent at every available moment by sketching home scenes and neighbors who would sit ’round the fireplace and swap tales of the old days. 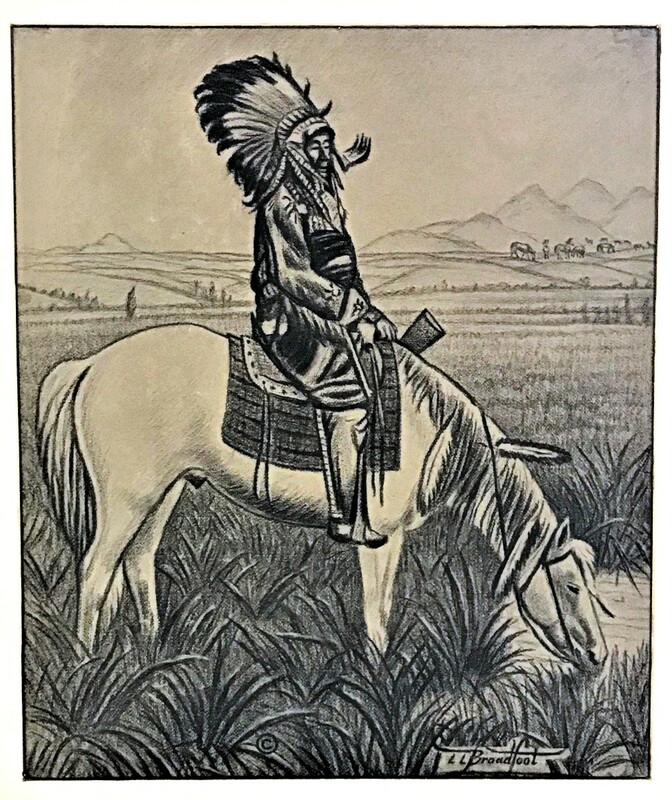 His desire to create art inspired him to travel and, after his mother died in 1909, Broadfoot traveled across the United States of America. He went West, working as a cowboy and practicing drawing portraits along the way. While in Montana he befriended Charlie Russell, the famed Western artist, who encouraged him to perfect his craft and live his dream. 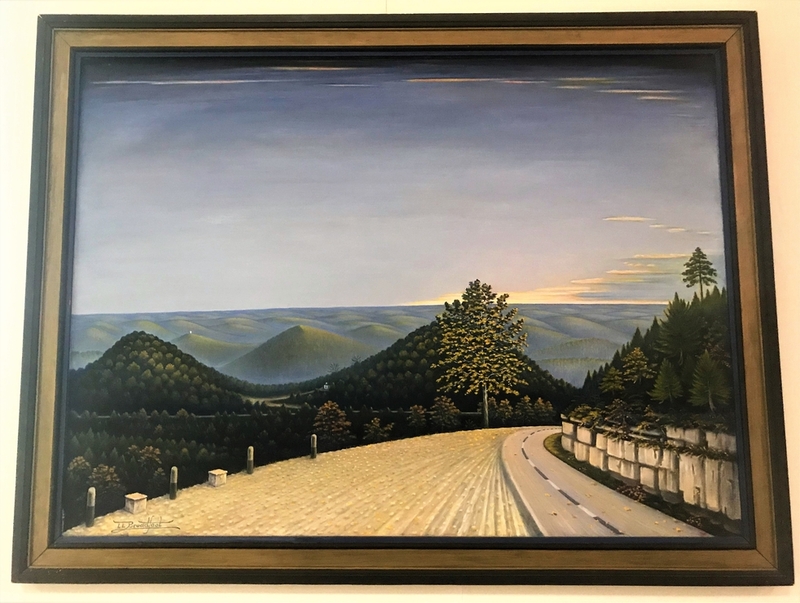 But it was from his studio in Pasadena, California that he decided to return to the Ozarks in the late 1930s to complete what he saw as his life’s work: character studies of the Ozarks pioneers. 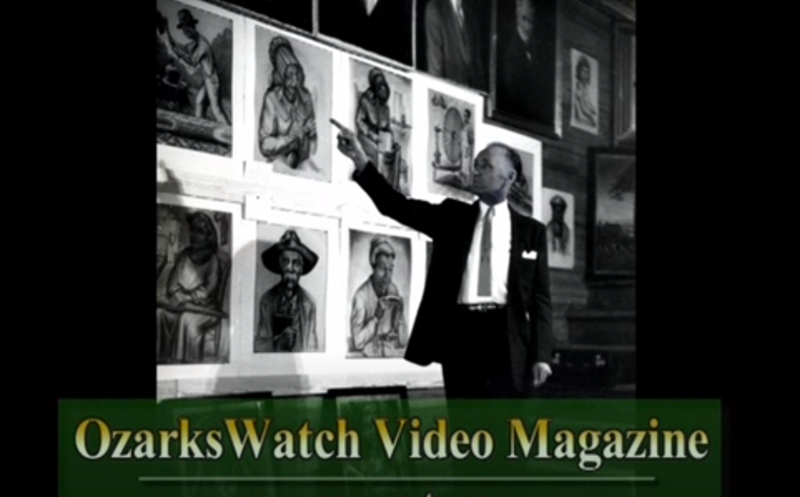 Some of the portraits from Broadfoot’s book, “Pioneers of the Ozarks,” hanging in the museum gallery. Broadfoot is considered a true self-taught artist, even though he did take a short course in commercial art by correspondence. In later years, he has had his pictures exhibited widely throughout the United States. He created the art for his second book, “Stoney of the Wildwoods,” but did not live to see the volume published. 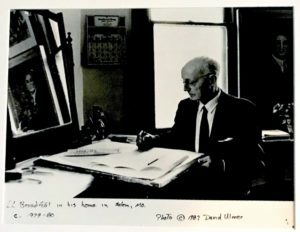 The never-before-seen compilation of pieces for Broadfoot’s second volume of work was shown as a digital projection show at the Harlin, titled, “The Story of the Wildwoods: The Unpublished Works of L.L. Broadfoot,” in 2018. 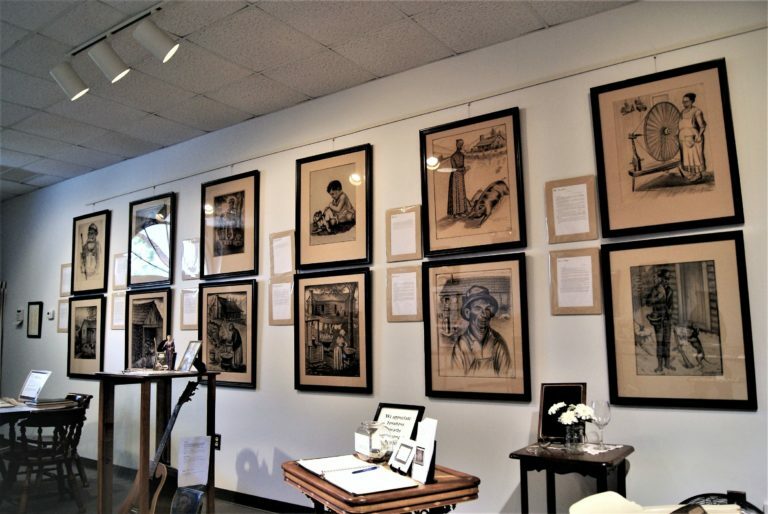 Valued at over $1 million, the collective works of L.L. 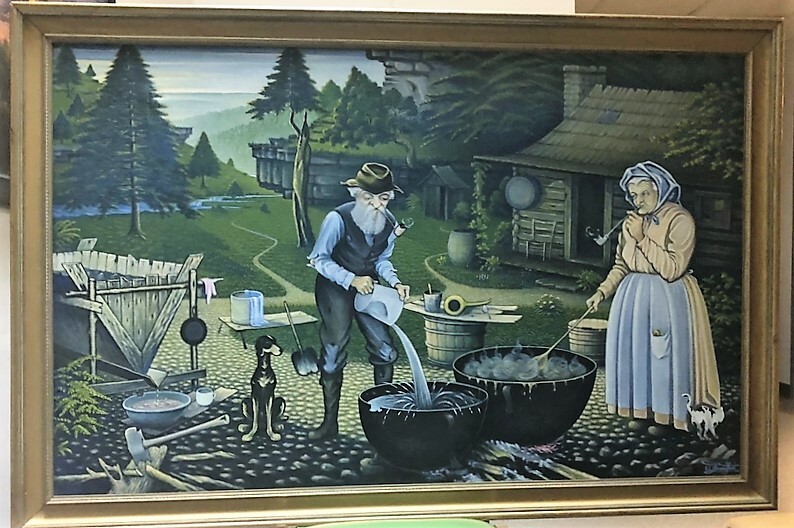 Broadfoot are an invaluable treasure to the people of the Ozarks, depicting a now lost generation of humble pioneer beginnings and their Ozarks way of life. 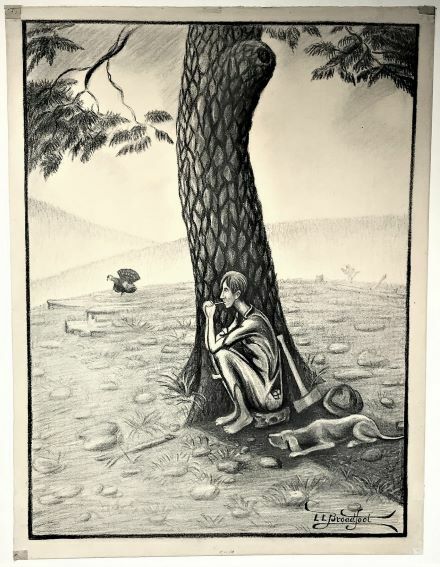 Currently, while the entire collection is not on display to the public, one can find the volume of original artwork for the “Pioneers of the Ozarks” book on display at the museum during the Old-Time Music & Ozark Heritage Festival in June each year. 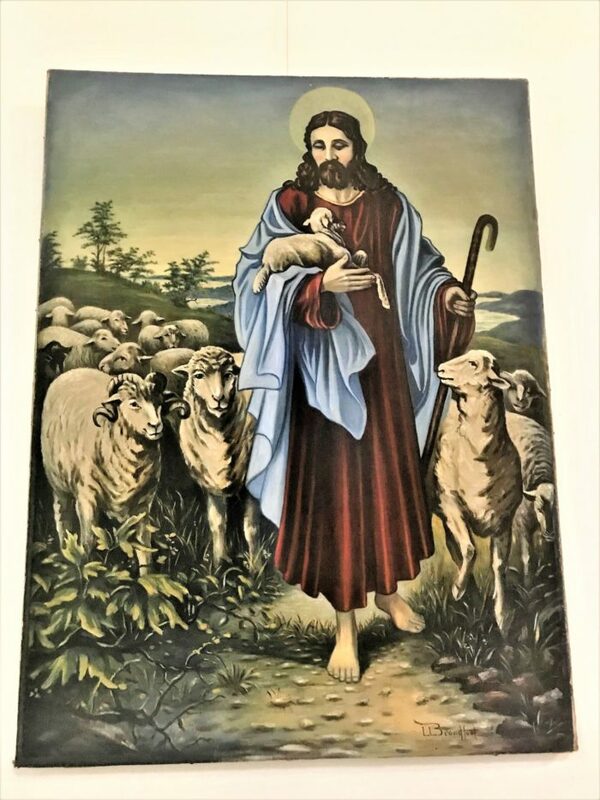 Other exhibits featuring the Broadfoot oil paintings and other artwork volumes are displayed throughout the year; check our events calendar for dates.